BRIDGETOWN, Barbados, CMC – The Caribbean Development Bank (CDB) has announced a programme of assistance of US$76.2 million for St. Kitts and Nevis over the period 2017 to 2021. On Thursday, the Bank’s Board of Directors approved the new strategy, which will support economic and social development, environmental protection and infrastructure enhancement. “This programme will support the Government of St. Kitts and Nevis in maximising its development potential. It is designed to help the country diversify its economy and increase its exports, while addressing challenges related to skills and productivity, competitiveness, social issues, gender and climate change,” said Dr. Justin Ram, the CDB’s Director of Economics. “The Strategy outlines how CDB will engage with St. Kitts and Nevis over the four-year period, and focuses on delivering sustainable development results for the country and its people,” he added. The proposed programme of assistance is built on three pillars – economic development and enhanced livelihoods; inclusive social development and environmental protection and infrastructure enhancement. The Country Strategy is a joint collaboration between the Government of St. Kitts and Nevis and CDB. The Bank consulted with stakeholders, including Government officials and development partners, emphasising country ownership of the proposed programme of assistance. Salient issues that emerged during these discussions, including urgent sector priorities and ongoing interventions supported by other development partners, have been taken into account. The approved Country Strategy for the federation draws on lessons learnt and experiences from the implementation of the previous Strategy (2013 to 2016). It includes a mix of finance for capital projects and technical assistance. Individual projects will be appraised by CDB and, if deemed to be viable, will then be presented to the Board of Directors for approval, following which disbursements will commence. BRIDGETOWN, Barbados, Dec 15, CMC – The Barbados-based Caribbean Development Bank (CDB) says it has approved US$29 million in funding to the Antigua and Barbuda government to assist with recovery efforts after the passage of Hurricane Irma in September. The bank said the funds will be used to rehabilitate and reconstruct critical infrastructure in the transportation, education, water and sanitation, and agriculture sectors. 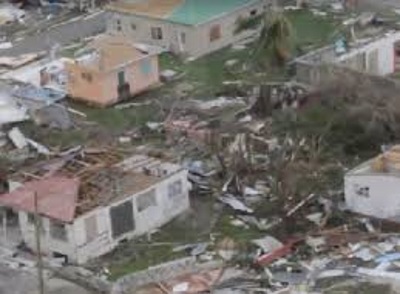 Hurricane Irma impacted the twin-island nation on September 6, 2017, making landfall in Barbuda as a Category 5 hurricane, destroying housing, crops, livestock and fishing vessels, and also severely impacted the island’s water supply. 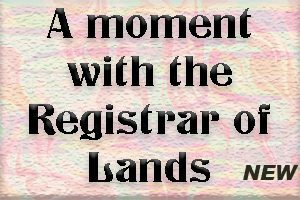 “The destruction caused by Hurricane Irma adversely impacted the lives of many citizens of Antigua and Barbuda. At CDB, we worked very closely with our in-country counterparts to develop the interventions captured in this project, which will support the Government’s efforts towards a comprehensive and sustainable approach to the redevelopment process, as it aims to ‘build back better. “We expect the project to significantly contribute to the restoration of livelihoods that were adversely impacted by the passage of the hurricane. The outcome for Antigua and Barbuda will not only be more resilient infrastructure but also more resilient institutions and people,” said Director of Projects at CDB, Daniel Best. The bank said the project has several components including reconstruction of 11km of road as well as the reconstruction and rehabilitation of education institutions in both Antigua and Barbuda and construction of teacher accommodation in Barbuda. CDB said it had previously provided a US$200,000 Emergency Relief Grant and an Immediate Response Loan in the amount of US$750,000 in the aftermath of Hurricane Irma. In addition, the bank has approved a loan of US$11.8 million to assist the government in meeting its financial obligations to external partners. 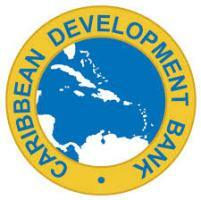 BRIDGETOWN, Barbados, Dec. 14, CMC – The Barbados based Caribbean Development Bank (CDB), is supporting the Government of Haiti in reducing poverty, building resilience, and achieving sustained economic growth for all. 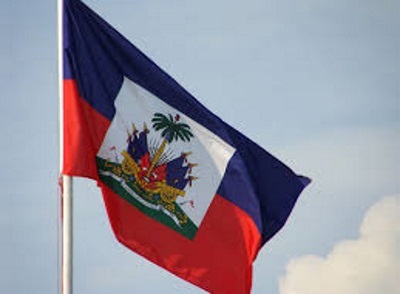 A new Country Strategy, approved by CDB’s Board of Directors on Thursday, proposes a programme of assistance of US$100 million for the period 2017 to 2021 to help Haiti meet its development priorities. This total includes US$45 million in grant resources. “The Government of Haiti has set an ambitious development agenda to unlock the country’s growth potential and build a dynamic, resilient and competitive economy. This Country Strategy, jointly developed with the Government, is designed to deliver strong development impact, particularly in agriculture, education and training, and sustainable energy,” said Dr. Justin Ram, Director of Economics, CDB. The five-year Strategy focuses on three main themes – Agriculture and community development;Sustainable energy development and education and training. Gender equality, regional cooperation and integration, and environmental sustainability considerations will also be mainstreamed across all CDB interventions delivered under the programme of assistance. CDB consulted with Government officials and stakeholders to ensure the design of the Country Strategy aligns with the strategic development priorities of Haiti, promotes coordination among development partners and donors, and identifies opportunities for collaboration among them. The Country Strategy is aligned with CDB’s strategic objectives of supporting inclusive and sustainable growth and development, and promoting good governance. The Strategy was crafted within a results management framework that will be the principal tool used to monitor implementation and the achievement of results. CDB’s previous Country Strategy for Haiti was for the period 2013 to 2016. The resource envelope of US$42 million in grants supported the Education for All Phase II Project; the Technical and Vocational Education and Training Project II; interventions in agriculture and rural development; the payment of Haiti’s premiums for coverage under CCRIF SPC; environmental projects; and technical assistance for micro, small and medium enterprises (MSME) development. Rep. Ro Khanna: "Bob Mueller concluded that the Russian interference was sweeping and systematic -- this was far more than Facebook ads."